Register for upcoming sessions near you! 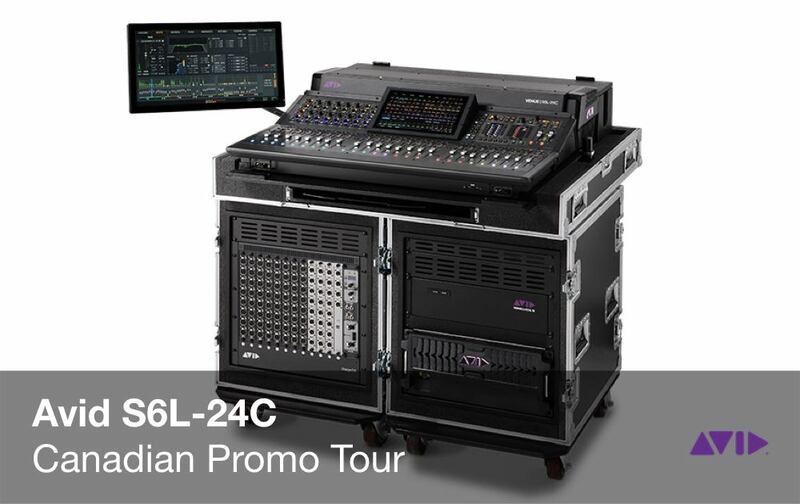 Avid Live Sound on tour in Canada. We are looking forward to travel across the country to introduce the Avid S6L Unified Platform to our partners and users. The S6L-24C & Stage 32 will be presented together with the latest feature development on the VENUE system including Waves SoundGrid support, VENUE|On-Stage iOS, Immersive Audio integration of Spat Revolution / d&b Soundscape / L’Acoustics L-ISA and more. VENUE|On-Stage and Function iOS app. © 2019 LS Media - All rights reserved.